Number rhombus is one of the best example to teach and show mastery on looping at any stage. 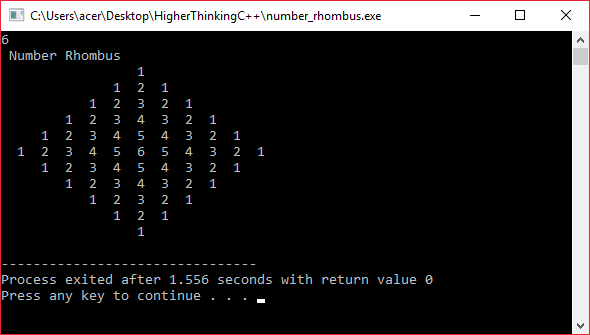 The rhombus program is here,This example was developed in windows 10 environment using DEV C++ IDE but you can run this program in any environment as we have not used any environment specific libraries. Here is the out put of the same program.